trinkets and treasures on display. If keeping every single piece of jewelry since childhood makes me a hoarder, I guess I will accept the title. Over the years I’ve accumulated a lot of jewelry (and garbage) and have always struggled to keep it organized and accessible. I have purged at times, like when I tried to sell my silver and brought in what felt like 10lbs and walked out with no more than 10 dollars. If my jewelry doesn’t have monetary value, at least it has sentimental value. 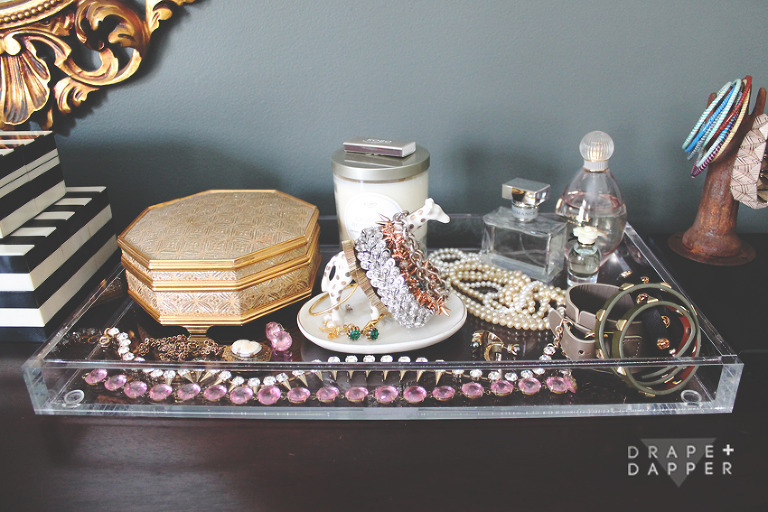 Trash or treasure, we all need a place for our jewelry collection to collect dust! There are so many cool options in the market right now, the theme seems to be not to hide it away – but rather, display away! We’ve put together a collection of some of our favorite trinket dishes, catch-alls and hanging displays at the end of the post. I think I may need to add a few to my collection. Most of these trinket boxes and trays I collected over the years (some vintage, some new) but having all my jewelry accessible and not in giant knotted ball is heaven for this hoarder. 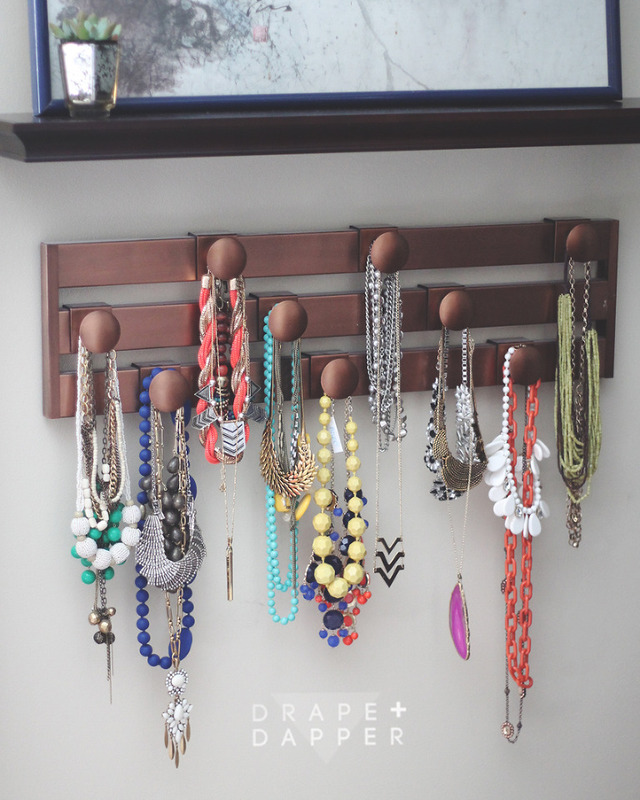 There are so many fun ways to display jewelry, we’ve selected some of our favorites below. Some of our faves from Anthropologie (left, middle, right). Be sure to check out Urban Outfitters for great options as well. 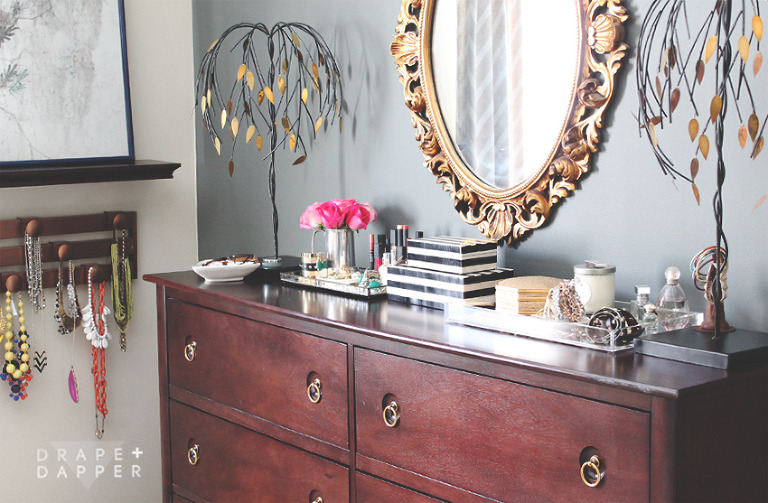 Target, Hobby Lobby and Home Goods are also hot beds for inexpensive storage and display options. Don’t forget, vintage dishes and trinket boxes are always a great find. 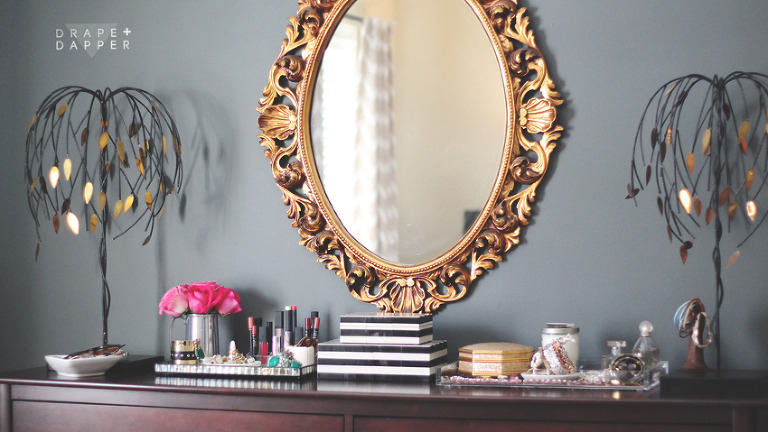 ** AND we’ve collected some DIY ideas on pinterest – follow us here.